What is FTP? How FTP Works? The Internet and computers are governed by a wide variety of protocols. FTP is one such protocol. FTP stands for file transfer protocol. As the name itself suggests, it is useful for transferring files from one destination to another. We will today go into the details of FTP and how it can be used in order to help you understand more. FTP is one of the convenient ways to move files around. With the help of this protocol, you will be able to access the directories or subdirectories. You can easily copy paste the files from those directories or to those directories. Thus, it makes the files and folders easily accessible. You can easily create an FTP server from your computer. Thereafter, as long as you have the username and password and are connected to the Internet, you will be able to access the server without any problem at all. You can easily upload and download files from the server. The speed of uploading and downloading will be dependent on the Internet connection. The advantage of FTP is that it is very easy to create an FTP server and access it from any computer and device. This ensures that you are able to access the files from anywhere around the world. You need not be a developer or webmaster in order to do so. That is why over the years FTP has become quite popular. What is FTP used for? FTP is used by developers and normal persons alike. In many cases, web developers use FTP in order to upload the website files to the server. With the help of FTP, it is a simple copy and paste operation which will allow you to upload the files to the server. In many cases, people upload files to servers using this protocol and later on, another person accesses the server in order to download those files as well. Thus, this protocol is also used as a file-sharing mechanism as well. This is because once the server is created, the files can be shared with the help of a simple copy-paste operation. Prior to the cloud services, this was the low tech version of file-sharing software. FTP is supported by all the operating systems which ensure that it can be executed using any machine without any problem at all. The best thing about this protocol is that it is easy to understand. When you access any server from any kind of device, the files and folders look the same as on your computer. Thus, there is no confusion at all. You need not learn any new organization system or hierarchical system in order to access files on the FTP server. The hierarchical structure is the same as in Windows. This means that you will be able to directly access and upload the files as per your requirement. You can watch FTP in action if you own any Adobe product. Adobe allows you to download the software with the help of FTP. Once you access their server, you will realize that it is like accessing any other folder on your computer. You will be able to download the files without any problem at all. This is what sets FTP apart from other file sharing protocols. This protocol dates back to 1971. At that time, cybersecurity was not a problem. Owing to this very reason, FTP provides very little if at all any security. The transfers which are done using this protocol are not encrypted either. Owing to this very reason, there is a possibility that someone might intercept these files. All they need to do is to just perform a packet sniff operation and they will be able to intercept these files. There is, however, an alternative in the form of FTPS. This protocol works same as the FTP protocol. The only difference is that it encrypts each and everything. As a result, it is very difficult to intercept to the files. Many servers have now switched over to this protocol in order to add a layer of security to the files which are being sent and received. In operation, it is same as FTP. The normal user will not be able to notice any difference on his/her end. Which FTP clients are worth opting for? In order to use this protocol easily, there are quite a few FTP clients which you can opt for. We will list some of them below which will allow you to use this product without any problem. WinSCP is a Windows-based client which will allow you to use this protocol. The UI is similar to Windows which ensures that you are able to use it without any problem at all. If you’re looking for a client which allows you to use FTP from Mac as well as Windows, this is the one which you should opt for. It has a Mac app as well. Thus, the same client can be used for Mac and Windows. FileZilla goes a step further in this regard. It is a client which can be used on Windows, Mac, Linux. Thus, with the help of cross-platform compatibility, it is much ahead of the other FTP clients on this list. At the same point in time, it is open source and free. This allows you to use it easily and there is always scope for further development as well. While the interface is not as appealing as CyberDuck but the cross-platform compatibility is a definite advantage. This client is a bit unique as compared to the other options. You do not require to download it. It is a browser-based client. Thus, you will be able to easily use this client very easily. It is in the form of Firefox add-on which ensures that you are able to use it through your browser without any problem at all. Thus, whenever you plan on using this protocol, these are the few clients which you can choose from. If you use this protocol occasionally, it is a good idea to go for the browser add-on which we have mentioned above. Otherwise, you can download a dedicated client to your computer in order to use it more frequently. Can I create my own FTP server? It is definitely possible to create your own FTP server. In fact, you can turn your android phone and tablet into an FTP server as well. This will allow you to easily share files on your phone with the help of this protocol. You can also create a server on your home computer. If you want a stress free way to create an FTP server, all you need to do is to just download the FileZilla server. If you use Mac, you need not download any extra third-party software. You have to just go to system preferences and then to the sharing tab. You have to enable remote login. This will allow you to access the server through FTPS. Once you create the server, it is important to have an FTP client on the device through which you are trying to access the server. You can use the IP address of the server in order to access it. In order to access the server outside of your home network, you will have to set up port forwarding on your router. It is always a good idea to equip your server with encryption to keep it secure. 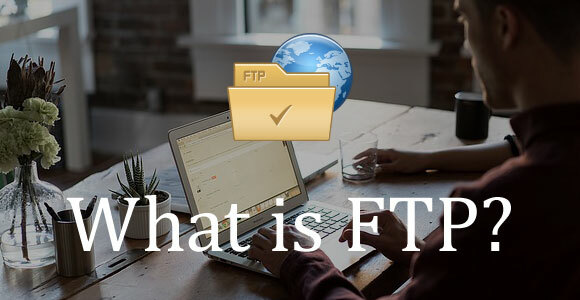 So, now that you are aware of what exactly FTP is and how to use ftp, it is time to use this simple protocol to your advantage in order to move your files around as per your requirement. How to Setup an FTP Server using FileZilla?